Crosby made two field goals and three extra points in Sunday's loss to the Rams. 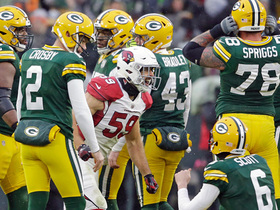 Analysis: Crosby had a nice day for both the Packers, and particularly for fantasy owners, as he made every kick he attempted and knocked in field goals from 41 yards and 53 yards out. He has bounced back nicely since making just one of six attempts in Week 5, making all six of his field-goal attempts and all six of his extra-point attempts. Crosby made a game-winning 27-yard field goal in Monday's victory over the 49ers. 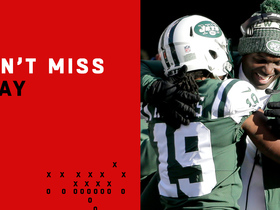 He also added three other field goals and three extra points in the contest. Analysis: Crosby bounced back from the worst game of his career in a big way, nailing all seven of his attempts, including one at the final buzzer that gave the Packers the win. Consider his job safe as the Packers head into their Week 7 bye. 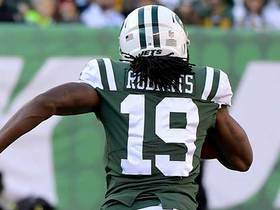 Packers coach Mike McCarthy suggested Crosby will keep his job, Rob Demovsky of ESPN.com reports. 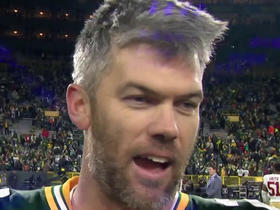 "He's got to make those kicks," McCarthy said. "He's a proven highly successful kicker, and I believe in him but he's got to make those kicks." Analysis: Crosby missed four field goals and a PAT in Sunday's 31-23 loss to Detroit, but he did at least rebound with a successful 41-yarder on his final attempt of the afternoon. The Packers have stuck with him through some rough stretches in the past, but it will be hard to justify the loyalty this time around if he doesn't bounce back with a decent performance Week 6 against the 49ers. Crosby made one field goal in five attempts and also missed an extra-point attempt in Sunday's loss to the Lions. Analysis: Crosby missed his first five kicks before hitting a 41-yarder late in Sunday's contest. No one invested can really say anything positive about Crosby's day, but the same group will no doubt be hoping the make on the final kick of the day helps the veteran quickly put Sunday's game in the past and get back on track moving forward. Crosby made three field goals and an extra point in Sunday's victory over the Bills. Analysis: Crosby missed an extra-point attempt on his first kick of the day, but he more than made up for it after that, making all three of his field-goal attempts, including two from 52 yards. 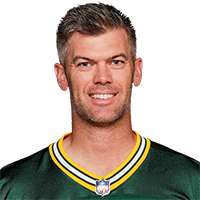 Crosby has been productive early for the Packers, putting 38 points on the board, and even more so for fantasy owners -- he he has nailed four kicks from between 40-49 yards in addition to the two 50-yarders he hit Sunday. Crosby hit a 41-yard field goal and two extra points in Sunday's loss to the Redskins. Analysis: Crosby put up a whopping 17 points -- not counting any bonuses -- in Week 2, but he finished with a season-low five points Sunday as the Packers' offense put up only 17 points. Crosby has been a bit boom-or-bust through three weeks, but he is off to a good start in the accuracy department, making seven of eight field goals and all seven extra-point attempts. Crosby made five field goals and two extra points in Sunday's tie with the Vikings. Analysis: Crosby's big day could have been even bigger had he hit a 52-yard field goal right before the end of regulation, but the 17 points he put on the board were the most of his career, and he chipped in another couple points in leagues that score field-goal distance, hitting kicks from both 40 and 48 yards out. Crosby finished the 2017 campaign with a paltry 78 points. but he is well on his way to reaching the 100-point mark for the 11th time in 12 years with 23 points through two games. Crosby notched a 42-yard field goal and three extra points in Sunday's victory over the Bears. Analysis: Crosby did not have any points until the 3:37 mark in the third quarter, but he was at least able to salvage his day with a late barrage. 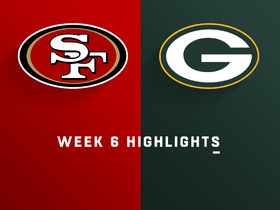 Crosby and the Packers' offense will have their work cut out for them in Week 2 facing a Minnesota defense that allowed the fewest points and yards in the league a year ago, but it should be noted that 49ers kicker Robbie Gould totaled 10 points against the Vikings in the season opener. Crosby made three field goals and all six of his extra-point attempts in Thursday's preseason win over the Steelers. Analysis: Crosby was perfect Thursday, and his night was even more impressive when factoring in that two of his field goals came from 50 and 53 yards out. Crosby finished with a paltry 78 points last year, but that number is bound to rise in 2018 as long as both he and quarterback Aaron Rodgers stay healthy. 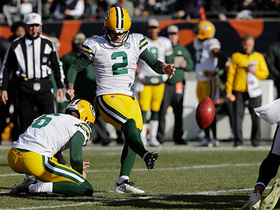 Crosby is the only kicker on the Packers' roster ahead of training camp. Crosby made 15 goals and 33 extra points en route to finishing the 2017 season with a career-low 78 points. Analysis: Crosby had never scored fewer than 108 points in any of his 11 seasons prior to 2017, but with starting quarterback Aaron Rodgers missing most of the season, the Packers' offense afforded him just 19 field-goal attempts. If Rodgers is healthy for all of 2018 Crosby's opportunities should pick up again, but his down year won't leave him very high on cheat sheets heading into next year's fantasy drafts. Crosby didn't attempt a field goal or extra point in Saturday's 16-0 loss to the Vikings. Crosby made a 28-yard field goal and three extra points in Sunday's loss to the Panthers. 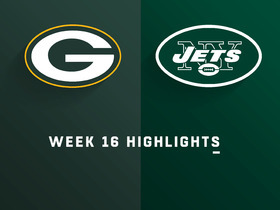 Analysis: The return of starting quarterback Aaron Rodgers boosted the effectiveness of the Packers' offense, but it did not lead to any significant boost in production for Crosby, who finished with single-digit points for the 13th time in 14 games this season. He has scored just 75 points this season, all but ensuring he will finish with fewer than the 108 points he posted in 2015 -- the current low-water mark for his career. Crosby made three extra points in Sunday's 27-21 overtime victory over the Browns. Analysis: Crosby did not attempt a field goal Sunday, which resulted in him finishing with just three points -- his second-lowest total of the season. Crosby could theoretically see his scoring opportunities increase if starting quarterback Aaron Rodgers (collarbone) returns to action Week 15 against the Panthers, but it's worth noting that the kicker attempted just five field goals in the five games Rodgers finished earlier this season before landing on injured reserve. Crosby made two field goals and two extra points in Sunday's victory over the Buccaneers. Analysis: Crosby did not miss a kick Sunday after doing so in four of his previous five games, but he still managed just eight points, with neither field goal coming from longer than 37 yards out. The eight points were the third most Crosby has scored in a game this season, so his upside is limited. However, he will at least have a favorable matchup in Week 14, facing a Browns team that ceded 18 made field goals on 21 attempts over its last six games. Crosby made four extra points and missed his lone field-goal attempt, from 57 yards, in Sunday's 31-28 loss to the Steelers. Crosby failed to record a point in the Packers' loss to the Ravens on Sunday. Analysis: The Packers' offense did not put any points on the board Sunday, which resulted in a total dud for Crosby one week after his most productive game of the season. 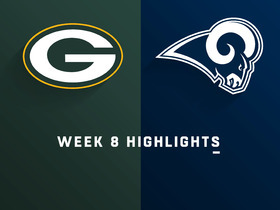 He figures to have a tough time getting back on track in Week 12, as the Packers will face a Steelers defense that sits second in the league with just 16.5 points allowed per game. Crosby made three of four field-goal attempts and two extra points in Sunday's victory over the Bears. Analysis: Crosby had his most productive game of the season, hitting his first 50-yard field goal of 2017 while also posting double figures in points for the first time all year -- and his day could have been even better if not for a poor hold that led to a miss on his final field-goal attempt. Despite Sunday's effort he is still averaging just six points per game, a rate he will have to improve if he hopes to avoid missing the 100-point mark for the first time in his career. Crosby made one of two field-goal attempts and two extra points in Monday's loss to the Lions. 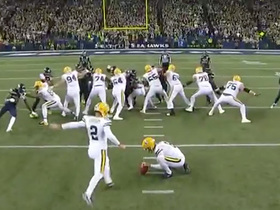 Analysis: Crosby's missed field goal was a blocked attempt that came as a result of poor timing from snap to kick, but his make was just the opposite, as the Packers' field-goal unit ran on the field with the clock running at the end of the first half and was able to get the kick off as time expired. Crosby finished Monday's contest with five points -- the sixth time he has finished with exactly that number though eight games this year.